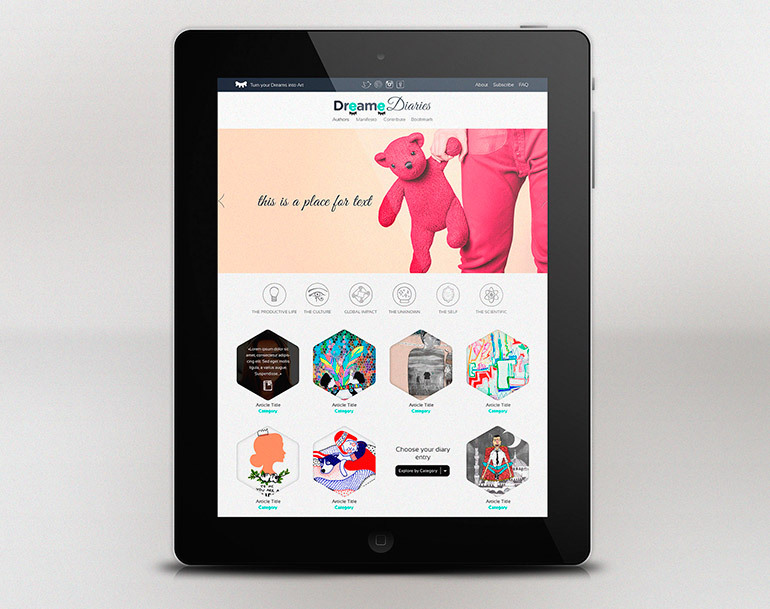 DreaMe is a unique platform that connects creative people with artists. If you’ve ever had a dream that you want to record, but you might not have the skills to put your ideas into pictures, you can always visit DreaMe and have a professional artist turn your dream into a one-of-a-kind piece of art. With fifty different artists to choose from, with styles that range from the very traditional to the very modern, it’s easy to find someone to turn your dreams into beautiful visuals! The dreamer and the artist work side by side to create something completely original. 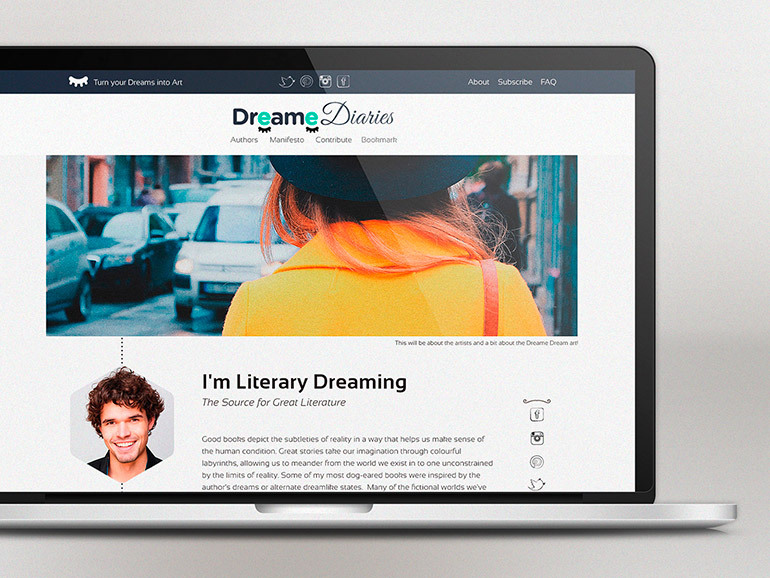 We knew that DreaMe’s website would be unlike anything else we had ever designed. It needed to communicate not just the message of their company, but also the spirit and originality of their idea. The role of their website is to connect artists with dreamers, despite being in different countries. It was to act as a bridge. We knew that we would need a way to display the art while holding on to the collaborative nature of DreaMe’s message. It would need to beautiful, gripping, easy to browse, and interactive. That is why we chose a sleek, simple design with clean coding and color palette. Each artist has their own hexagon which displays their style and when the user moves the mouse over each hexagon, the artist’s face and fee appears. Coupled with a streamlined contact interface and responsive design to make the website easy to browse and utilize, no matter what device you are using, the new website we designed for DreaMe fit their every need and was a great opportunity for us.